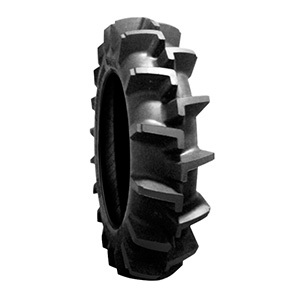 PUDDLE SPECIAL is a R-2 agricultural tire specifically designed for operations in paddy fields. The extra deep tread design along with the special lug pattern provides best grip and excellent traction even on wet and soft soil. The wide center bar provides better adaptability for road applications and provides extraordinary service performance. In addition, PUDDLE SPECIAL shows superior self-cleaning features and excellent durability.